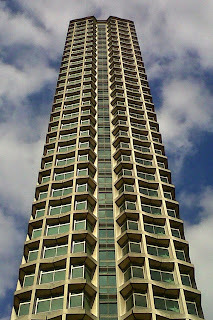 I have always liked Centrepoint. In comparison to all the plain sheets of glass to be found everywhere else (or Renzo Piano's hideous hi-rise Toytown just around the corner), this tall tower is distinctive and, therefore a true icon of its age (just like me cos we were both born in the early 1960s!). 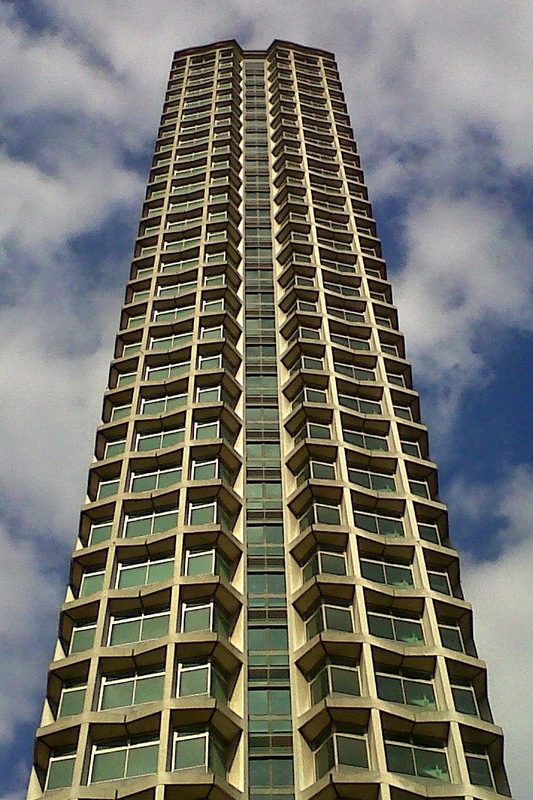 The 33-floor tower was a controversial topic from the day it was built. At 385 ft high it was tallest building for miles. For many decades it stood mostly empty. The fountains stopped gushing in about the 90's, I think, and their mosaic'd pool sat empty and unloved until Crossrail came in and bulldozed the area around the tower, along with a lot of other much-missed buildings (in particular The Astoria boo hoo), to make way for a new modern Tottenham Court station and piazza. For this we can assume bland and flat with and square corners – faster to build, see. 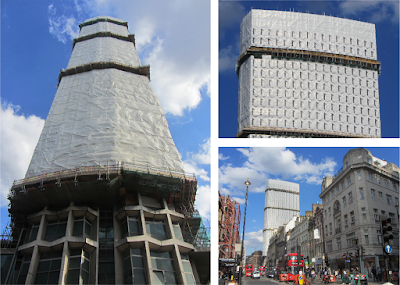 At I write this Centrepoint is being converted into 'luxury' apartments costing approx £3million a pop. It is clothed in a kind of trompe l'oeil rain mac. This all seems a bit at odds with this other Centrepoint.